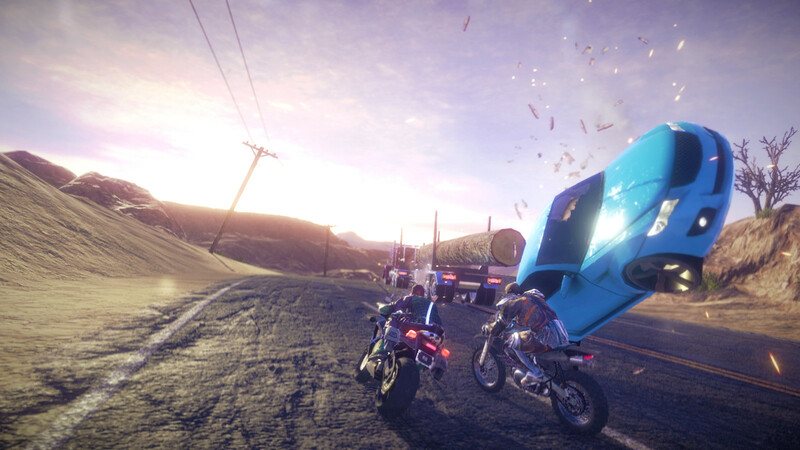 Road Redemption was on course to be launched on Kickstarter in 2014. The campaign of this game was first announced in 2013, with success, debuting on Steam Early Access the next year, but with a very slow development process. Especially knowing that DarkSeas Games wanted to finish it in 2015. At least now it’s official: Road Redemption will arrive in its stable version on Steam (for Linux, Mac, and Windows) on October 4th, leaving behind the Steam’s Early Access roughly one year after the original schedule. And of course, the influence of Road Rash is still noticeable in this game. This is, in fact, the title’s greatest attraction, knowing that the saga of EA has been dead for too many years. As expected, its team, now formed by Pixel Dash Studios and EQ-Games, has just celebrated this occasion with the publication of a new trailer that you can see below. Get details about this game below. It’s up to you and your fellow gang members to chase down the assassin and claim this prize, but you’ll have to drive through unfriendly territory to do so. Every biker in the country wants a piece of that $15,000,000 bounty, and they won’t hesitate to take out those who get in their way.